Creating an awesome media event. You know you want to do it. Threesides has been working with a great Canberra client, PANDSI, to help them attract media attention for their major fundraising event, the PANDSI Cake Off. PANDSI is a local organisation that assists Canberra families experiencing post and ante natal depression and anxiety. 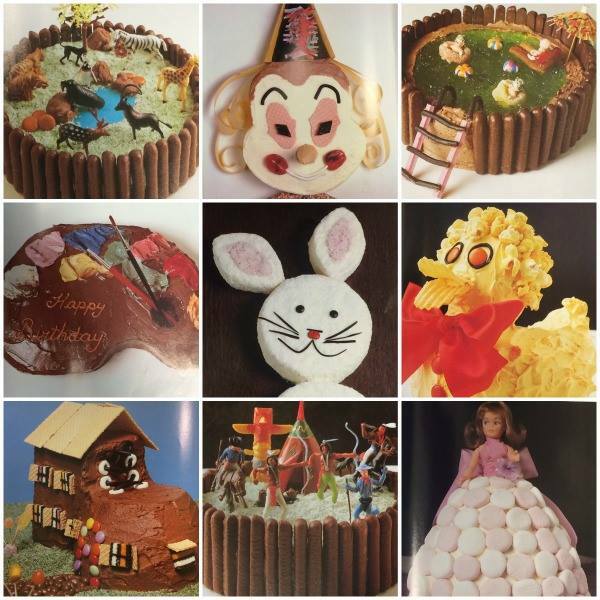 And as a way to raise much needed funds, they’re hosting the PANDSI Cake Off on 7 May 2016 at the Hyatt Hotel Canberra where all 107 cakes from the iconic Australian Women’s’ Weekly Children’s Birthday Cake Book Cook Book will be made and displayed at the same time, for the first time ever. Understandably the event has already attracted a huge amount of media attention with coverage on Channel 7’s Weekend Sunrise, The Canberra Times, Radio National , The Motherish, 666 ABC Radio, Her Canberra, City News, Frankie, and Canberra FM. But wait there’s more…on PANDSI Cake Off day, several major media outlets will be attending for further coverage including ABC Australia Wide, Getty Images and the Australian Women’s Weekly digital team. So why so much attention? We think the PANDSI Cake Off has the perfect combination needed for a great media event. They’ve taken all the right ingredients, mixed them well and employed some tried and true methods to bake this baby to media perfection – just like those 107 iconic cakes! Go for a first – do something that’s never been done before and you’re bound to get the media there in droves. World records, Australian firsts, quirky competitions, be the first to…create all 107 cakes from a famous Australian cook book! Find links to existing media – go with what you know and who you know. Utilise media links you already have and build from there. Make it fun – no one wants to be serious all the time. Go for fun, colourful events that break up the monotony of every day news. Media are often seeking good news stories with quirky and interesting angles. Involve a charity – charity angles go a long way. Get your fun on, but make sure there’s a good cause behind it and you can’t go wrong. Find something that resonates with different ages for different reasons – the broader your event’s appeal has to different age groups, the more media attention you’re likely to attract. PANDSI Cake Off is of interest to anyone who grew up with the original cook book as a child, children of parents who make cakes for them now, anyone who’s experienced post or ante natal depression and/or anxiety, anyone who loves giving to great local causes, anyone who loves cake! Good talent – you cannot underestimate the value of strong spokespeople who know how to work with media. Find a few different people who can deliver different messages for different outlets. Give your media some choice. Great visuals – a picture says a thousand words. Make sure you have strong visuals to support your story ahead of your actual event. Sure, media can take photos or video on the day, but you’ll need strong, original images if you want coverage in the lead up to the event, and to attract media to actually attend your event. Employ professionals with extensive media events experience – that’s where Threesides comes in! When it comes to creating memorable media events, follow these helpful tips and you may just get your cake and eat it too!